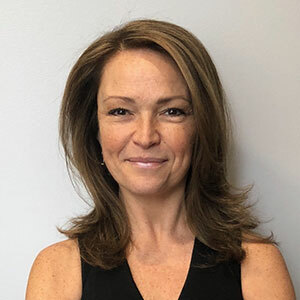 Susan Brydges has over 18 years of massage therapy experience and believes massage therapy is a powerful way to connect with yourself – body, mind, and spirit. Her approach to bodywork combines a mixture of Swedish, deep tissue, myofascial, and trigger point therapy. She also incorporates other modalities such as Reiki, the Chakra System, reflexology, and Cranial Sacral. To assist the body in releasing tension, these techniques are applied in a slow and relaxed manner. She believes the slower you go, the deeper you can go into the tissue, which in turn creates the ideal environment for your body to unwind. Through compassionate and careful listening, Susan is able to hone in on the areas causing discomfort both physically, biomechanically, and energetically. She accomplishes lasting results by addressing the root causes of the problems. Susan has had great success helping pre- and postnatal clients, clients dealing with musculoskeletal pain syndromes, and clients dealing with chronic physical stresses of our everyday life. Come visit Susan Brydges on Sundays, Tuesdays, Wednesdays, and Saturdays at Modern Chiropractic Chicago. To schedule a massage appointment, contact Susan directly at (484) 431-4272 or email SFBrydges@gmail.com. Contact us with any questions or to arrange a complimentary consultation. We offer late opening hours for your convenience.